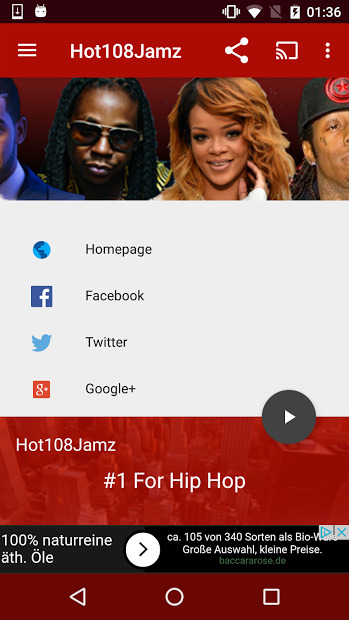 Listen to your favourite music with this radio app, everywhere you are, on your Android device. And when you are at home, connect it to your Chromecast, to enjoy on a bigger speakers. It features an integrated playlist, so you always know what you are listening to. 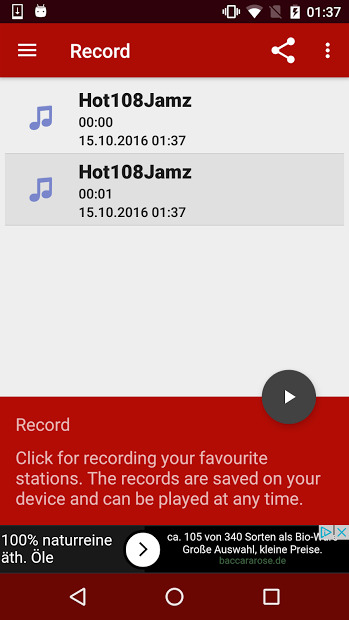 The application can be minimized, so you can still enjoy listening to your sound, while doing anything else on your device. Note: Incoming calls interrupt the stream.